The Gr. 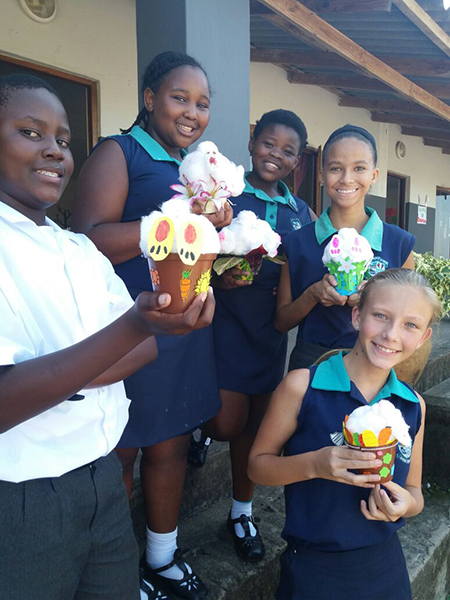 7 class had a lot of fun getting into the Easter spirit with their Arts and Culture project. Each learner made a bunny from cotton, digging in a flower pot looking for eggs.